Miss your old bunk and buddies back on the Death Star? 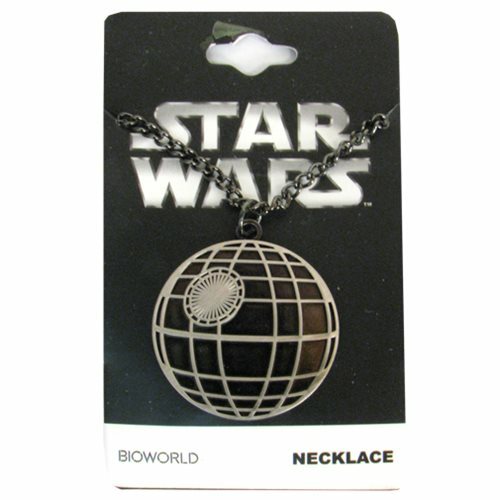 Keep those good old days close at hand by wearing this Star Wars Death Star Necklace on your next assignment for the Galactic Empire. Pendant is made from zinc alloy and measure 1 1/3 - Inches with an 18-Inch chain. Ages 14 and up.